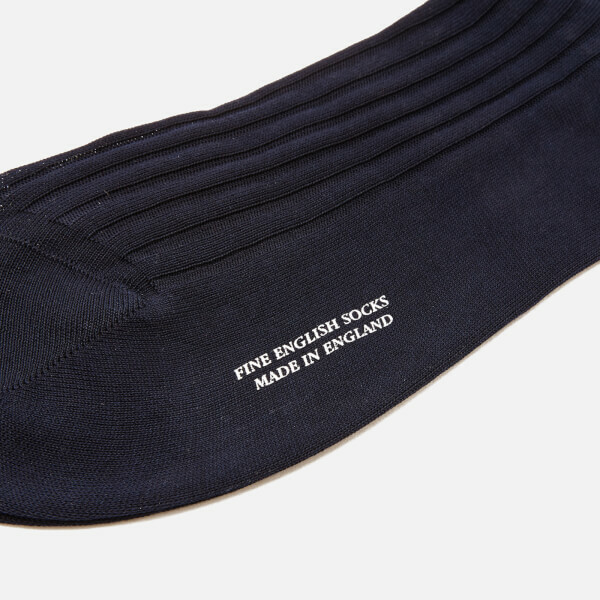 Men's premium dress socks from Pantherella. 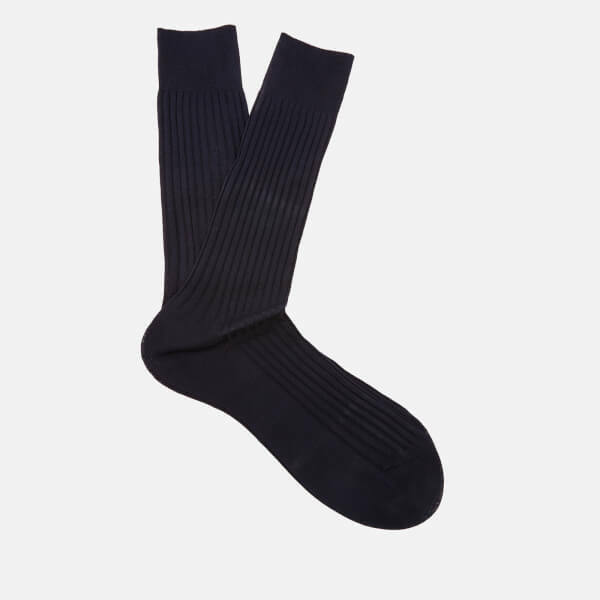 Cut from high quality Fil d'Ecosse with a ribbed knit design, the hand-finished 'Danvers' socks utilise the finest Italian sourced, extra-long staple Egyptian grown cotton. The extra-long staple ensures a high quality finish, and the Mercerisation process it undergoes results in shiny, shrink and pill-resistant yarn.